← Travels With Bowie & D.O.G. : Las Vegas! On the Road, Again: Arizona & Route 66! Fall is my favorite road tripping season. The weather is lovely, especially in the Southwest and the National Park crowds are tapering off after the summer madness. Last week, my friend Becky and I lit out for Las Vegas across Arizona, taking a three-day circuitous route. 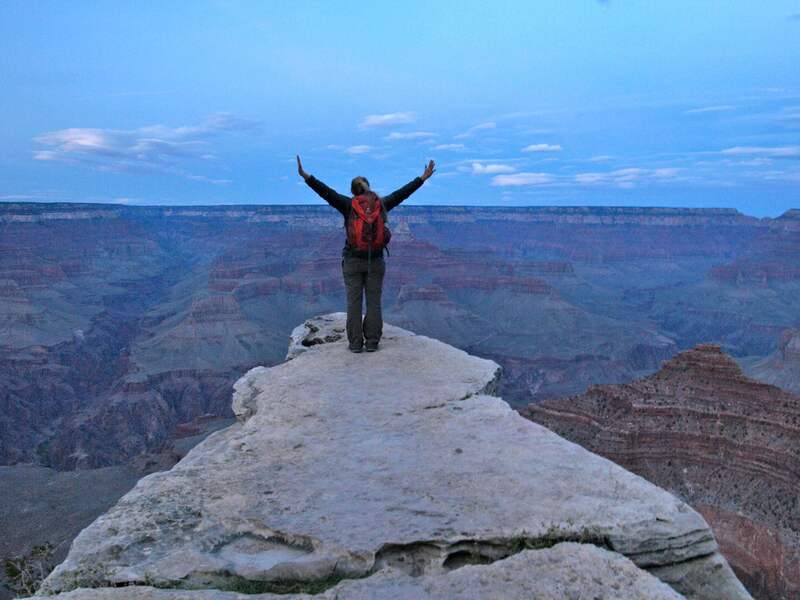 Becky had never been to Arizona so it was all new ground for her. 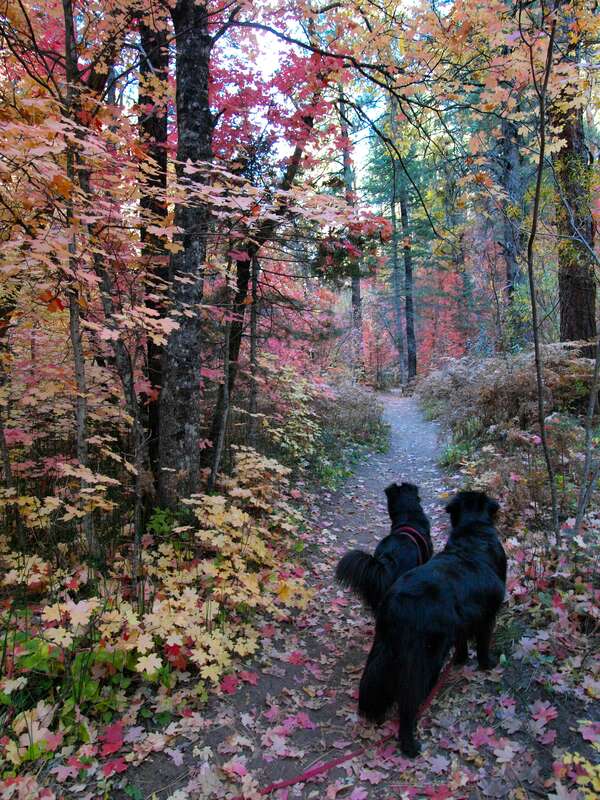 I wanted to show her Oak Creek Canyon and the Flagstaff/ Sedona area. I saw some new places as well: Sunset Crater National Monument, Wupatki National Monument, the South Rim of the Grand Canyon (I’ve been to the North Rim twice) and a classic section of Route 66. The slogan for this road trip quickly became: I’ve never heard of this place, but it’s awesome! I’d never heard of Sunset Crater or Wupatki or the Watchtower at the Desert View overlook of the Grand Canyon, but all were wonderful. And then a funny thing happened on Route 66. We got off I-40 at exit 139 and headed West on an old section of Route 66. It was a perfect road, open and gorgeous with few other cars. In fact, other than briefly racing a paralleling train, we hardly saw anybody in 20-odd miles. 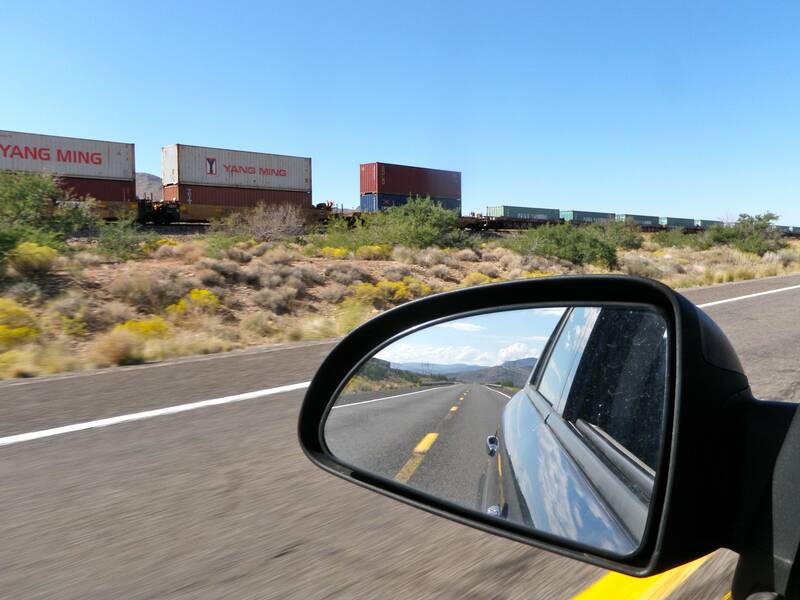 Racing a train on an empty Route 66. Don't worry, the train topped out at 55 mph. Along the way we were baffled by series of sequential red and white signs each printed with a line from a weird little poem: You’ve laughed / At our signs / For many a mile / Be a sport / Give us a trial / Burma-Shave. Apparently, the signs pay homage to one of the first road side advertising campaigns in the US. Between 1925 and 1963 the Burma Shave shaving cream company erected the six line ditties all over the country. Posted sequentially so they could be read by passing motorists, the poems ranged from catchy pro-shaving slogans: Every shaver / Now can snore / Six more minutes / Than before / By using / Burma-Shave, to safe driving ditties: Hardly a driver / Is now alive / Who passed / On hills / At 75 / Burma-Shave. Eventually the signs were so well known the company sponsored contests that received over 50,000 entries. Winners were awarded $100 and their very own set of signs somewhere in the country. 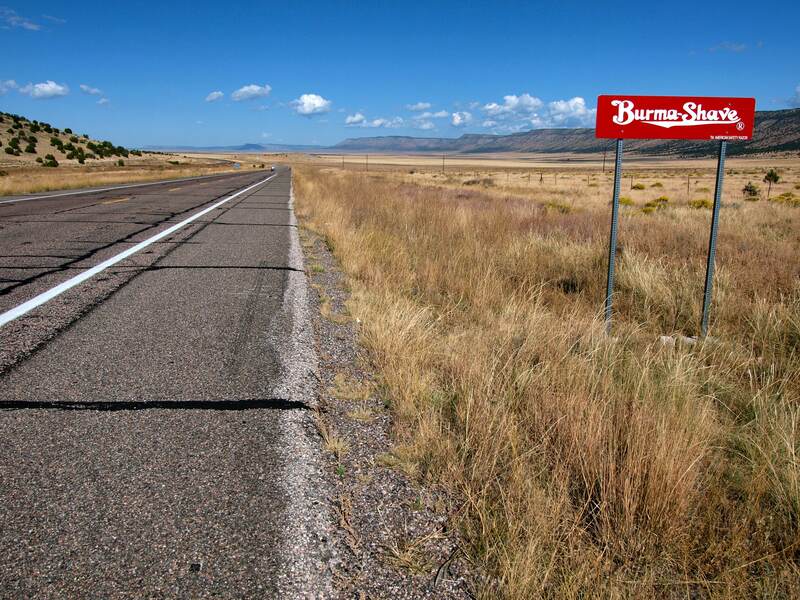 At their height, there were upwards of 7,000 Burma Shave signs stretching across the country. Now there are only a few, most along this one section of road. After 20 miles of silly signs along an empty road, we hit Seligman. The place was a zoo! Tour buses and traffic everywhere! Every building was brightly colored and plastered with Route 66 signs. 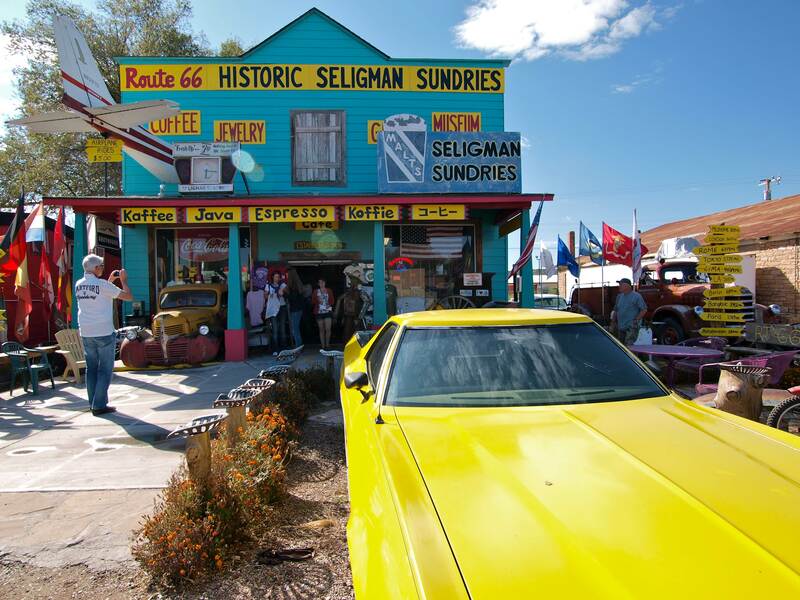 I’d never even heard of Seligman, but apparently it’s ground zero for tourists visiting Las Vegas and the Grand Canyon to stock up on Route 66 memorabilia. Leaving Seligman, there was an on ramp for I-40, which we bypassed in favor of taking the scenic route: another 80 miles on Route 66 to Kingman. I’ve driven a lot of roads and this section from Seligman to Kingman was one of the finest drives of my life, not in the least because there was nobody else out there: After we left Seligman, we could count the cars we saw on one hand and there were zero tour buses. 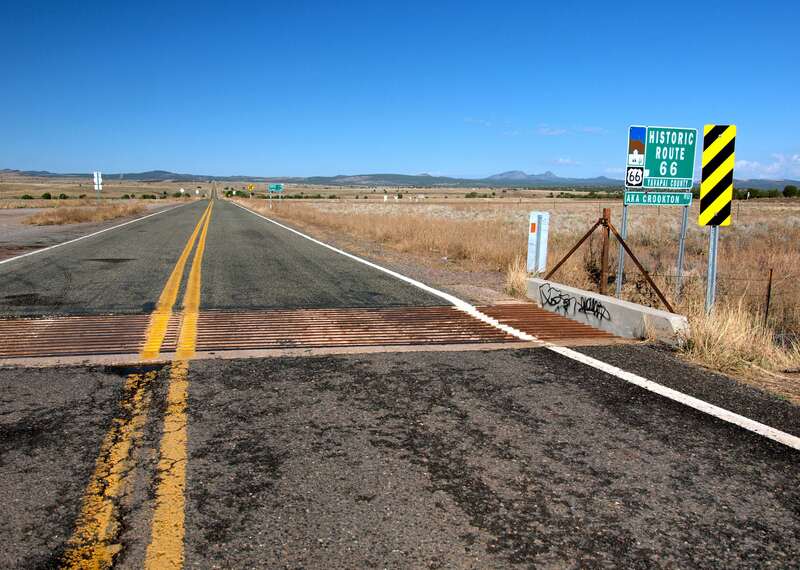 So there’s a microcosm of American tourism for you: people were driving hundreds of miles out of their way to visit Seligman and stock up on Route 66 stuff, but they weren’t driving Route 66 to get there! They were all taking the interstate! Crazy people don’t know what they’re missing. Just goes to show you don’t have to get far off the beaten track to have awesome places all to yourself! My second Grand Canyon sunset this month! This entry was posted in Bowie & D.O.G., Hiking!, Photography, Road tripping! and tagged arizona, burma shave, fall colors, grand canyon, Las Vegas, oak creek canyon, road trip, route 66, sunset crater national monument. Bookmark the permalink. 8 Responses to On the Road, Again: Arizona & Route 66! Gorgeous photos. I so wish I could take that trip! So much fun. Have a great time! Thanks Katie! As soon as I can bring myself to drive into town to a faster internet connection I’ll upload a ton of photos from the road trip to Flickr. I’ll post links on here when I do! 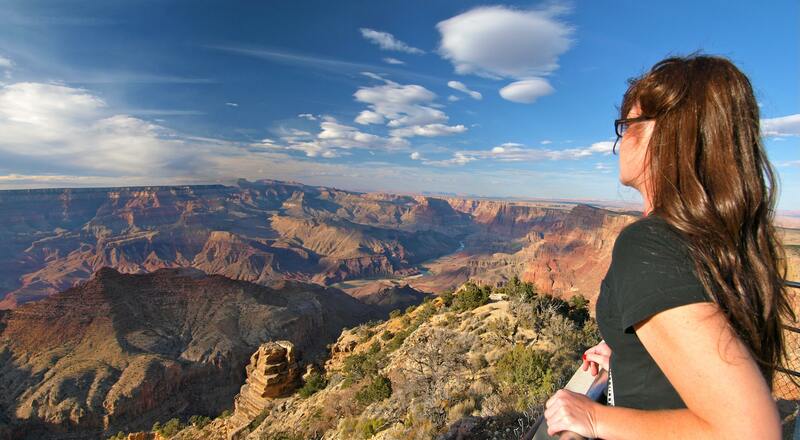 The Becky meets the Grand Canyon photo is superb.